The medium of glass provides the rare opportunity to have a team building experience where something important is actually at stake. 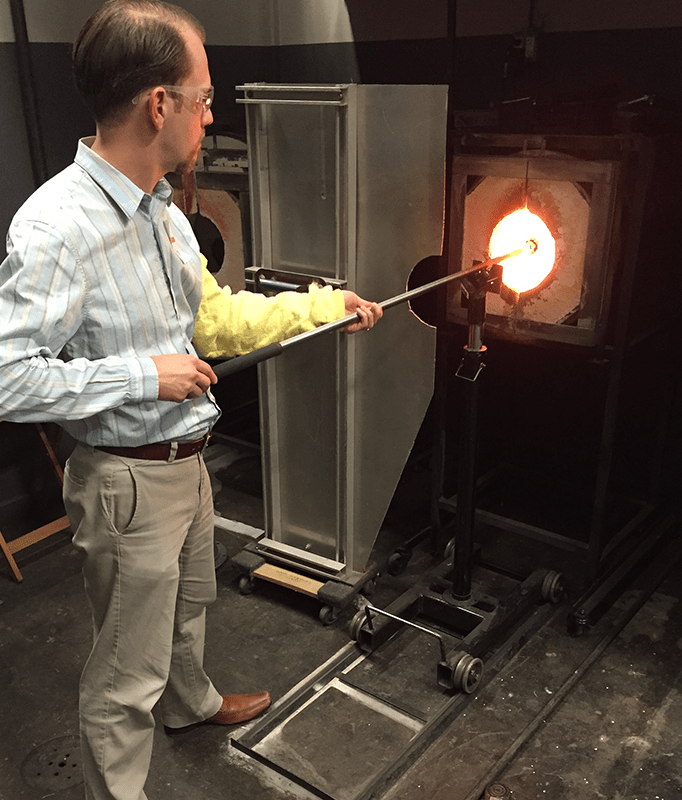 Glass, in its molten state is over 2,000 degrees, and your team will be working with it in the 1,200-1,900 degree temperature range to gingerly create a wall platter, while protecting it from damage, that literally represents the beautiful accomplishments of teamwork. Absolutely! 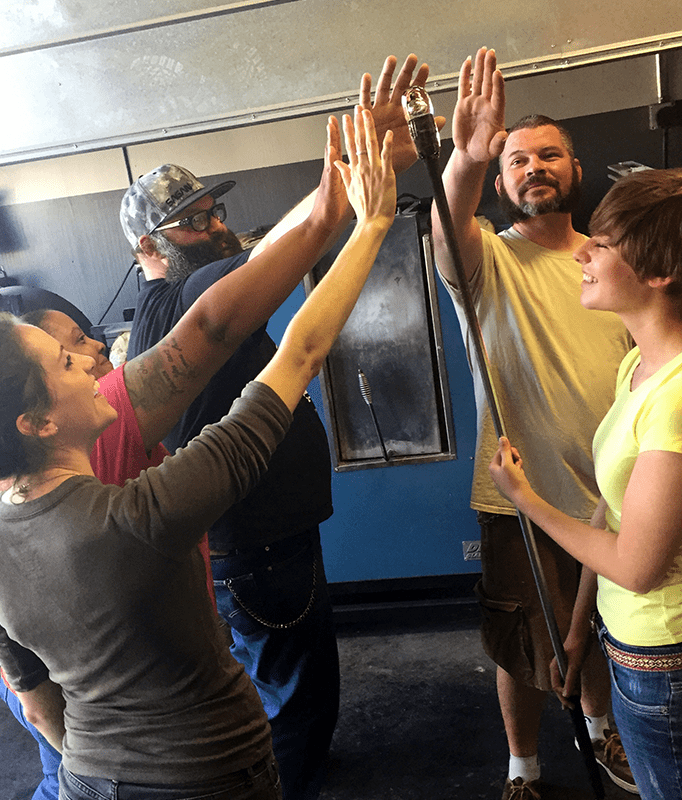 Through anecdotes, demonstrations, and hands-on practice we’ll cover safety and operational procedures for working in the studio hot shop. Yes! 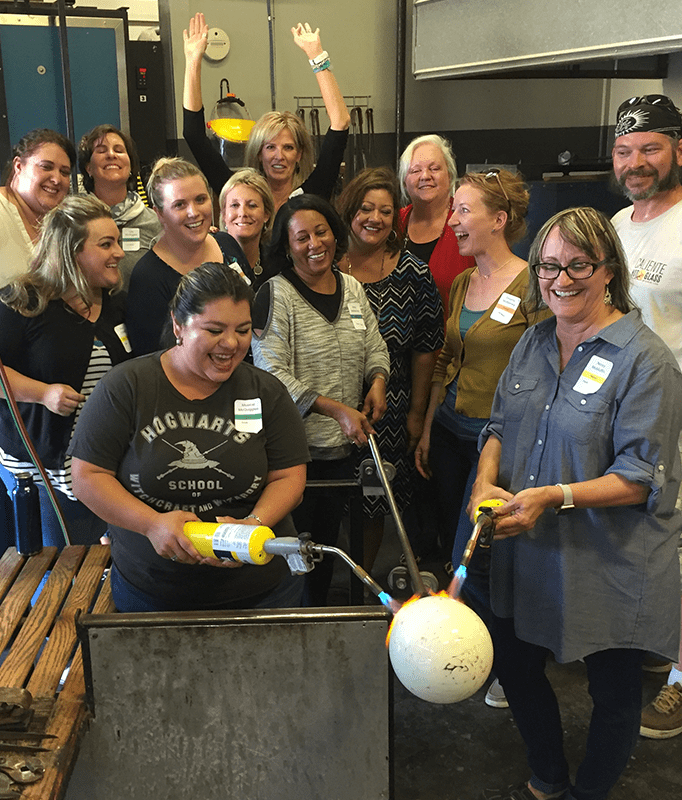 Glass blowing is more than an artform, it’s also a team sport. There are plenty of opportunities to work together, cheer each other on, and even shine in the spotlight. Apply your color and work as a team to make something beautiful! If your budget isn't digging the rates, try a private Blow Your Own event for your team. 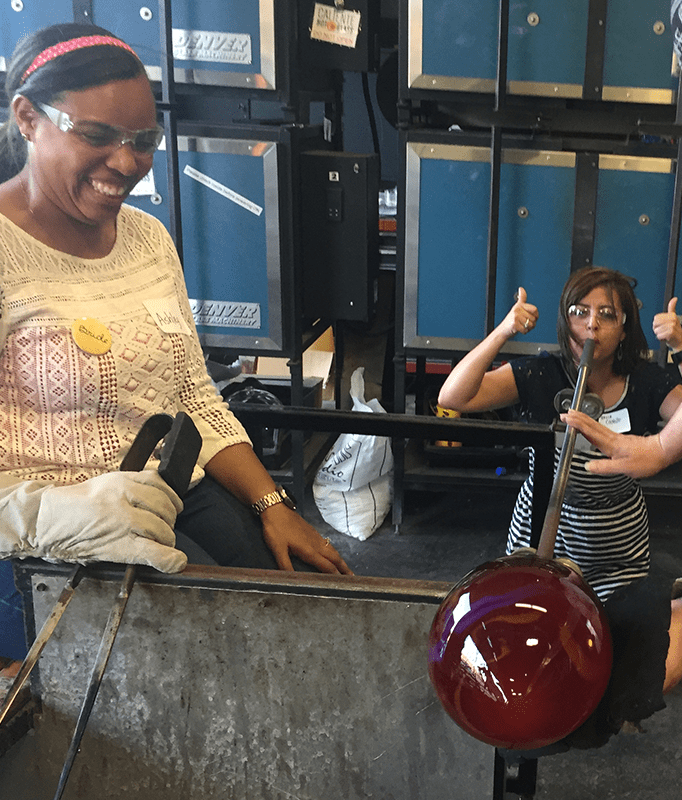 Whether you’re looking for an amazing journey or a creative foray, your team will have a new appreciation for glass and the power of teamwork. 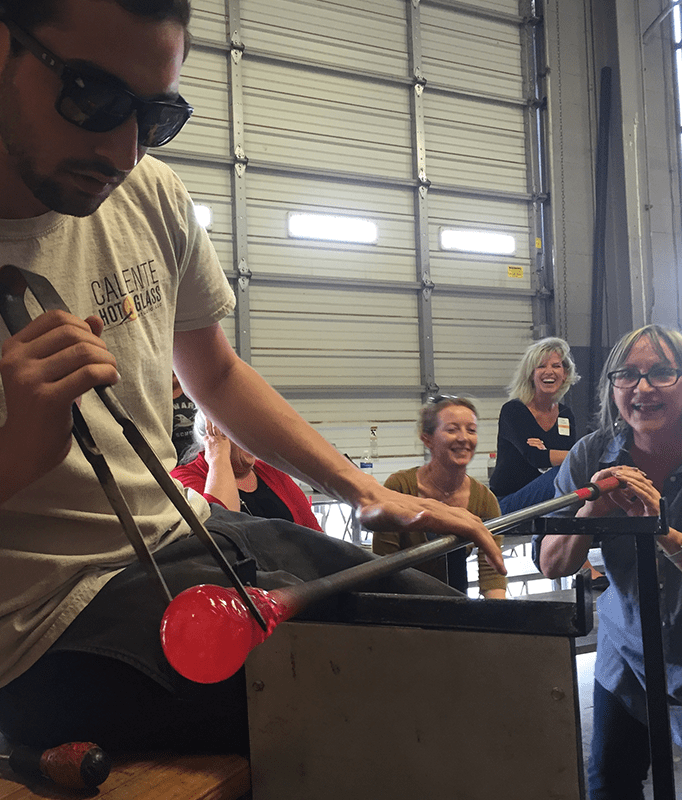 Glass blowing is an active sport! Please wear closed toed shoes and non-synthetic clothing. T-shirts & shorts are fine nearly year ‘round. Arrive at studio well hydrated and ready for an adventure. We’ll take care of the rest. Waiting is the hardest part! 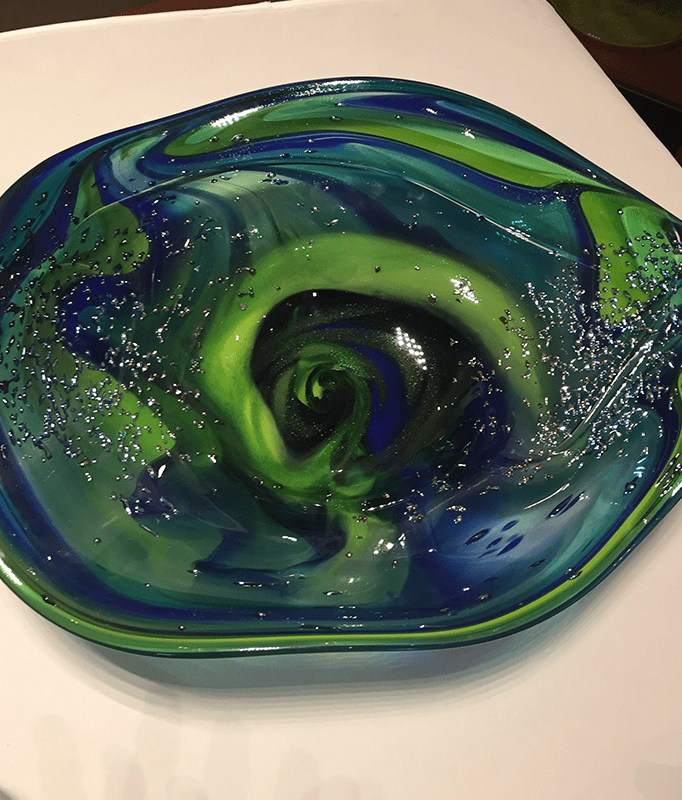 Once your glass art is created, it needs to cool for 18-24 hours in our studio before it can be taken home. Or it can be shipped for an additional charge. Otherwise most pieces can be picked up 2 days after your class.